For today, I wish you all a Happy Feastday of our common Father and Teacher, St. John Bosco! We are all anticipating the big day of 2012! It is a time when everyone from this '87 Grad Class gets the opportunity to come back where it all started from and recharge anew! I myself can't wait to go back HOME and catch up with old friends. The above 'The Gathering' graphic is truly inspired and designed by our fellow batchmate Jonathan Bendebel. Time doeas really fly. Four years have passed with just a blink of an eye! I also want to dedicate this section to some of my good friends in highschool; Ichie-Boy, Nelvin, Ton-ton, Eugene, Nonilo (Marlo), Ched, Trudie, Deks, Jay, Marco, Rommel, Drew and the rest of the Namuncura boys!. Click here to join the Yahoo! Group of DBTC Class of '87 Industrial Electricity 440. For more photos, click here and here (album posted courtesy of Ton-Ton). 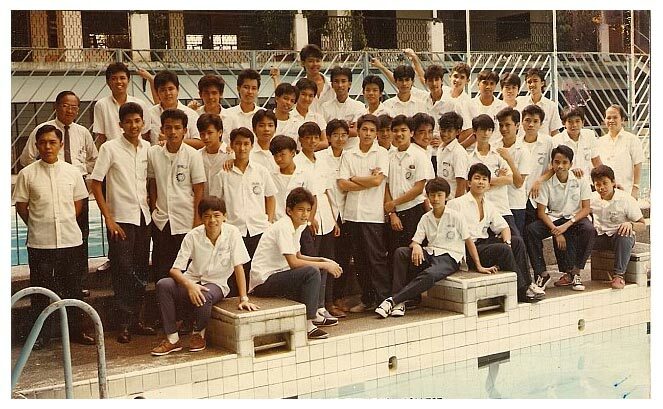 For Bosconians belonging to the Don Bosco Technical College High School Class 1987, there is an email service group hosted by Yahoo called 'buskohs87'. So if you fit the bill and want in, point your browser to http://groups.yahoo.com/group/buskohs87 or send email to the moderator (Mr. Rex Mabunga) at (sorry 'bout the cryptic writing, trying to avert spam 'bots from flooding the list). Heavens bright and thisour land. That enchants all men and names. Thy serene and smiling face, On the sad and sorrowing souls, Peace bestows, the heart consoles, Heals all troubles, griefs and pains. To the youth's unwary hearts, Thou art sure and constant guide. To the wrecked injurious tide, Thou art savior, thou art hope. Hail Don Bosco, Father dear, Hear the song we sing to thee. Let us all thy children be, Guard us though our life, let us all thy children be! Saint John Bosco, our loving father, Now we lift to thee our voices. As we gather around thine altar Far and wide the world rejoices. O Don Bosco, we're thy dearest Who's protection are imploring, For in heaven thou remainest, An apostle 'mid thee adoring. Refrain: Don Bosco, thy children On many a shore Shall love and revere thee Till time be no more. Don Bosco, thy children On many a shore Shall love and revere thee Till time be no more.